Recognizing that its once-popular check-in app was hitting something of a lull, Foursquare devised a separate app in the form of Swarm. 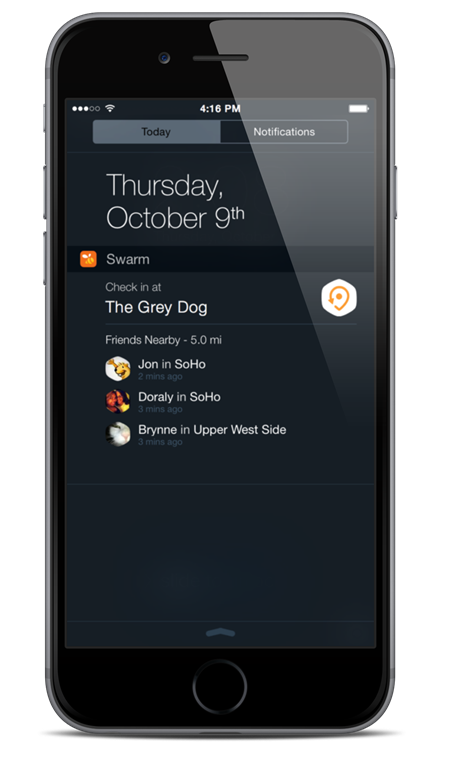 The idea was that Swarm would work as a kicker to Foursquare, but focus more on finding friends within your locale and subsequently, find things to do. It still includes its very own check-in feature, though, and thanks to iOS 8’s widget support, the Swarm app for iOS has just been updated to include a useful button for checking in with a single tap. The problem Foursquare has faced, is that once the novelty of check-ins wore off, it became a bit of an effort to open up the app and bother participating. But given Apple’s relaxing of the closed-source ecosystem, apps like Swarm can still flourish, and provided your device is running on the latest iOS 8, you can now reap the benefits of widget support. Once you’ve updated, you can check in right from the Today interface found in the Notification Center, and rather than being a novel add-on, seems a necessity to Swarm’s chances of sticking around. Like Path and many other nice-to-use-but-not-essential social experiences, Foursquare and Swarm are easy to forget about almost completely, so while the widget will enhance overall functionality, it will also serve as a reminder to check in. After picking up the latest version, provided you’re running iOS 8, you will need to activate the widget via the Today menu, but thereafter, it will remain a permanent fixture. It’s a bit of a shame to see Foursquare struggling. Once upon a time, it was a thriving community, and at the height of its popularity, seemed to have filled a gap in the market that we’d always require. Unfortunately, though, frequenters of the service seem more like the dedicated few, and on a more personal note, I do hope that this widget support prompts something of a revival. 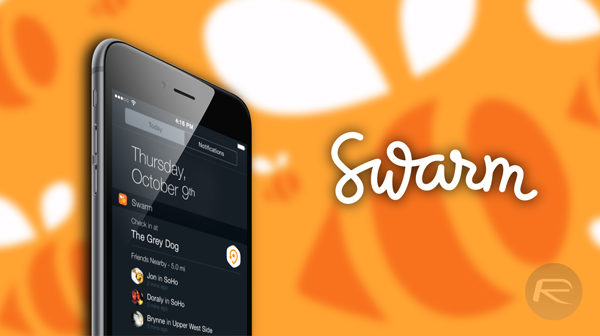 Grab the updated Swarm app below, which is free of charge, and if you’re on iOS 8, be sure to activate that widget right away. Once they went to “Swarm” and made the application simply pure advertising pushing places I don’t care about, made it useless as a fun app. I can understand their way to monetize their idea… but now it’s just ads… whoever pays more gets prime spot on there.